What do you do to start your work day like a superhero? After all, your morning routine sets the tone for the rest of the day…so, make it GREAT. 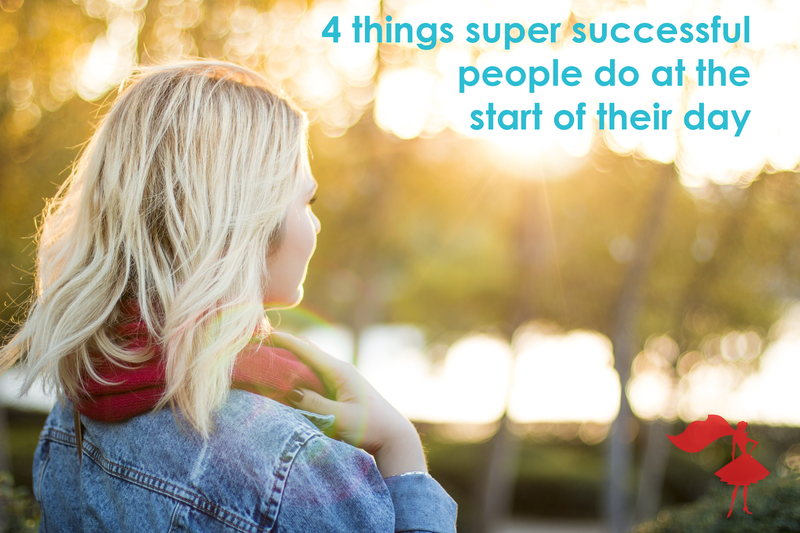 Here are 4 things that super successful people do at the beginning of the day to ensure a productive and awesome day. 1) Tea/coffee between 9.30 am and 11.30 am. Many of us like to reach for the coffee machine as soon as our heads are off the pillow. However, according to lifehacker, our alertness levels are at their highest between the hours of 8 am and 9 am. So, if we consume these life-saving beverages at the wrong hour, we will be wasting the potential alertness boost. It turns out that the best time for a cup is between 9:30 am and 11:30 am as our alertness levels dip during these hours. TIP: the first hot drink of the morning should be hot water and a squeeze of fresh lemon juice…it gets you going, gets you warmed up and does wonders for your digestion. 2) Eat the right breakfast. I’m sure you’ve heard this one before and yes, it may seem obvious. However, many people begin the day by eating the wrong foods, or worse still, skipping breakfast all together! (without preaching) A healthy, hearty breakfast will help you feel more awake and energized and will sustain you throughout the day. These are quick, easy-to-prepare foods that get your brain working in the morning and reduce the groggy feeling. 3) Turn on the beats. There’s nothing quite like a good morning jam. Either before you leave the house, or on the way to work, listen to some upbeat music to get yourself pumped and motivated for the day. For musical inspiration, take a look at our #productivityplaylist blog post here. Go on, give it a try. It’s amazing what a little downward dog can do for your life. And if you are planning on sitting down for most of today in front of your computer, it’s best to get a little stretch beforehand to ensure your physical body is happy and limber. Do you think this is a good morning routine? 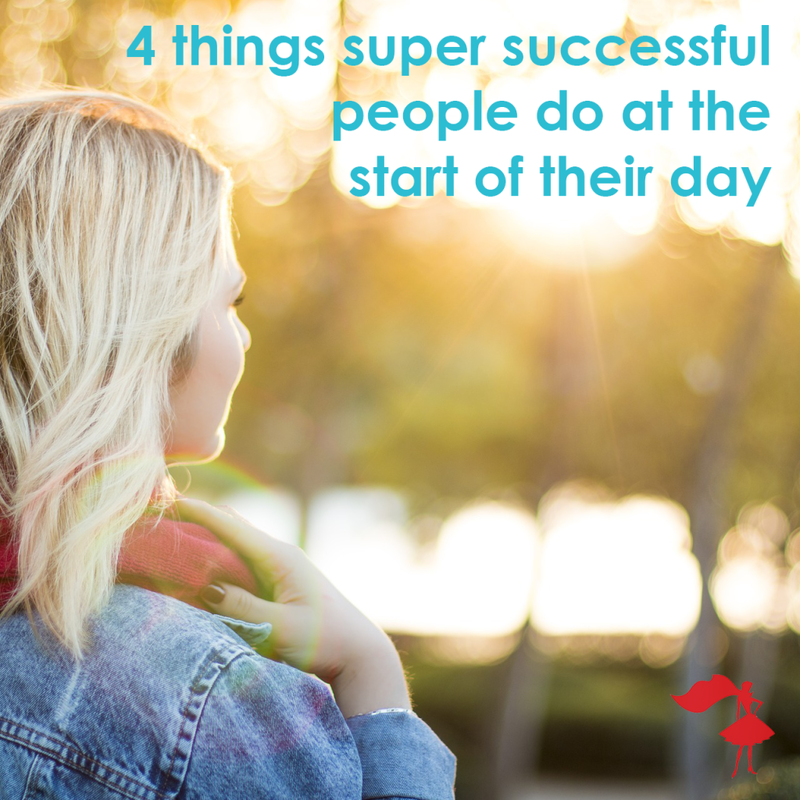 Leave a comment below and share with us your best tip for starting the day productively.